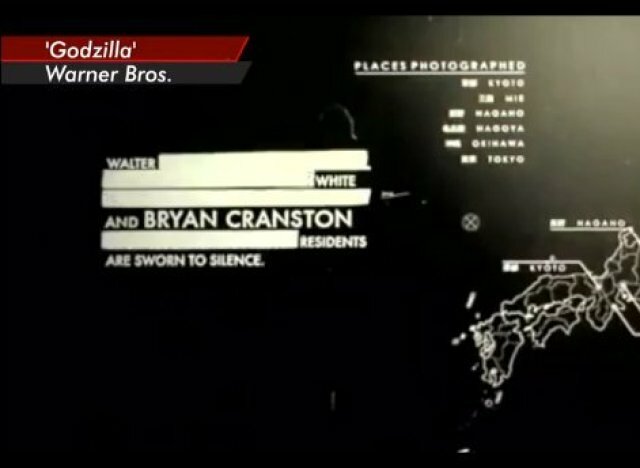 Not even Godzilla can completely overshadow Walter White. A hidden reference to "Breaking Bad's" resident meth-cooking kingpin popped up in this year's big-screen adaption of the sci-fi monster story, which co-starred Bryan Cranston. In the movie's opening credits, lines from classified documents briefly appear onscreen next to each actor's name, before they are quickly redacted. The text next to Cranston's name points to his famous "Breaking Bad" role. The credits also included other Easter eggs for its actors and director. Check out the video above to see them all.